This 5 Page Printable PDF workbook will help boy scouts as they work on earning the Citizenship in the Community merit badge. 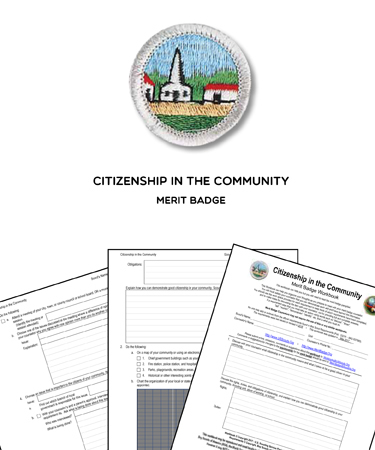 These worksheets include the necessary tasks and questions that are required for earning the Citizenship in the Community merit badge. Use this workbook as a guide as you organize your thoughts and prepare to meet with your merit badge counselor.